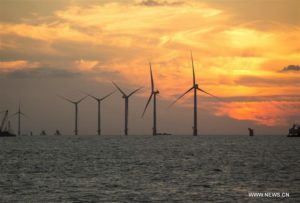 Installations include 1 GW offshore wind power big-three wind turbines makers tighten grip on world’s largest wind farm market. China added 25.9GW of new wind power capacity and grid-connected 20.3GW in 2018 as Goldwind kept its status as leading wind turbine OEM in the world’s largest market, according to latest industry figures. 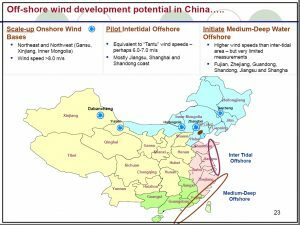 Offshore wind farm capacity grew by more than 1 GW to 3.6 GW last year, the China Wind Energy Association (CWEA) revealed at its annual meeting held in Beijing on 20 January. The CWEA last year pegged China’s 2017 total new-build installations at 19.66 GW, but did not give figures for new grid-connections then. 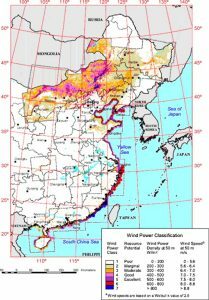 CWEA secretary general Qin Haiyan told the meeting that 2018 marked “a steady year” for Chinese wind power, helped by the government lifting restrictions on development in three key provinces, adding that the country’s cumulative grid-connected capacity is now 184 GW. 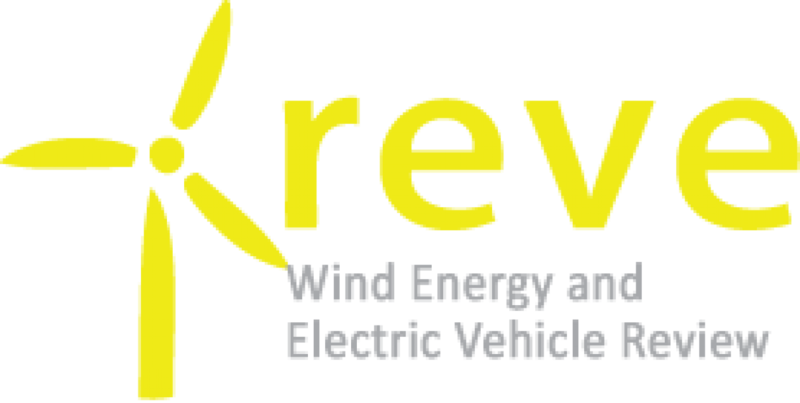 Goldwind, Envision and Ming Yang Smart Energy (MYSE) kept their positions as the top three players – rankings they have held since 2016 – with “Goldwind installing over 6 GW, Envision putting up 4-5 GW, and MYSE 3-4 GW,” the body said. Together the trio took 61.5% of the Chinese wind farm market, seven and 17.4 percentage points up from their shares in the previous two years, indicating the further consolidation of the domestic wind power market. Following the top three, CSIC Haizhuang, Shanghai Electric, Windey, and Guodian United Power collectively built 4.4 GW and took fourth to seventh places. The rest of the wind energy market, representing 5.56 GW, came from 15 other wind turbine makers whose names and rankings have not been released yet. CWEA’s estimate shows total wind power production last year reached 357 TWh. Utilisation of wind turbines increased by 153 hours to 2,103 hours on average, indicating an improved market case for the wind farm developers. 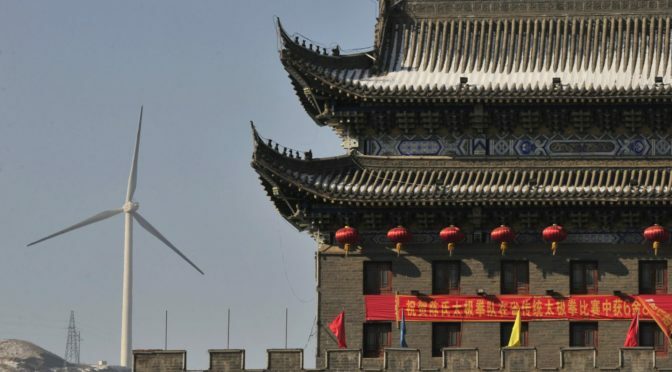 China is looking to greenlight the remining three “red-alerted” provinces to resume wind farm construction this year, as all managed to cap curtained as required under government targets.